Dezeen promotion: a warehouse-turned-hotel in Singapore and a Maldivian guest suite perched above the ocean are among the winners of this year's Awards for Hospitality Experience and Design Asias. The AHEAD Awards celebrates the best hotel projects across Asia, which have been finished between October 2016 and September 2017. All submissions were assessed by a panel of hoteliers, architects and interior designers, based on experience offered to guests, aesthetic and commercial viability. The winners were announced on 15 March 2018 at a ceremony in Singapore's luxury Andaz hotel. The Warehouse Hotel in Singapore was 2018's big winner. As well as being named Hotel of the Year, it collected awards in the Guestrooms, Lobby & Public Space, and Urban Hotel – Conversion categories. The project, which was designed by Asylum Creative and Zarch Collaboartives, was described by judges as having a "refined design and stunning attention to detail". Vector Architect's Alila Yangshuo guest accommodation in China's mountainous Guangxi region won the prize for Resort Hotel, commended for the "artisanal feel" of its material palette. The building, which was formerly a sugar mill, features 40,000 hand-pressed bricks. Alila Yangshuo also came top in the Spa & Wellness category. Vommuli House Nature Discovery Centre in the St Regis Maldives was praised in the Event Spaces category. Hosting a culinary school, yoga studio, acupuncture clinic and more, the venue was recognised for its whitewashed, chapel-like interiors that boast views of the surrounding jungle. The St Regis Maldives also came top in the Suite category for its contemporary John Jacob Astor Estate, which sits perched above the Indian Ocean on the westernmost point of an island lagoon. The greenery-filled spaces of Singapore's Shangri-La Hotel were also awarded in Hotel Renovation & Restoration, while the planted courtyards and rooftop bar in Beijing's VUE hotel won the prize for Landscape & Outdoor Spaces. 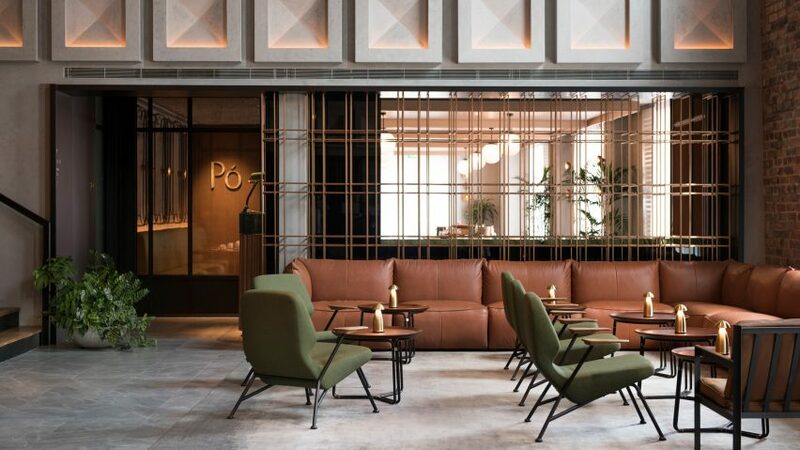 Asia is one of the four continents covered by AHEAD, which also celebrates exceptional hospitality projects from the Americas, Europe, and Middle East & Africas. The awards will culminate in a global biennale in 2019, where winners from each region will contend for worldwide titles.